David Stratkauskas is a man of many sides. He is the Music Director of the Victoria Children’s Choir, Recital Choir, which will be performing Hans Krasa’s Brundibar this Saturday April 9th at the Sooke Community Theatre at 8:00 pm, and Sunday April 10th at 2:30 pm at New St. Mary’s Church, 4125 Metchosin Rd. In addition to a background in church choirs, this versatile musician plays organ and piano. David is equally at home in jazz, contemporary and classical music. 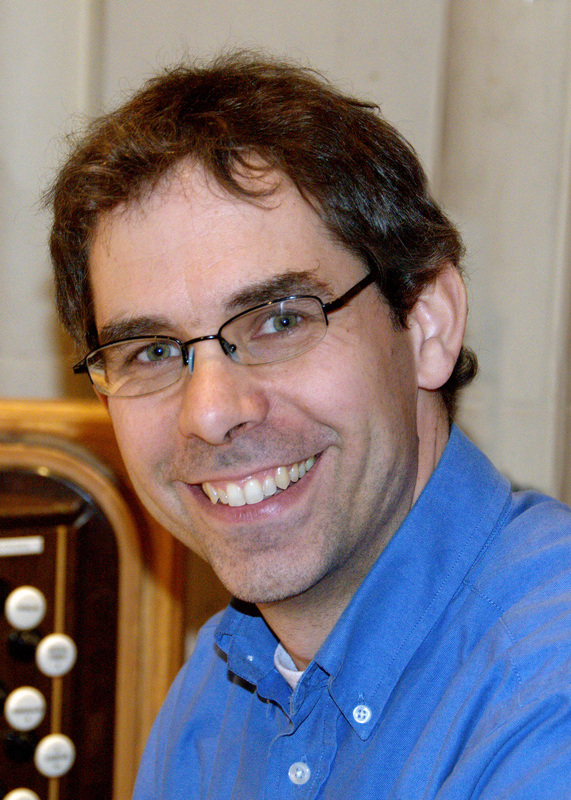 He currently holds the position of Music Director at St. John the Divine Anglican Church on Quadra Street in Victoria. David is a Vancouver native who got his start on a Bontempi electronic organ at the age of seven. He says that his parents were not particularly interested in music, but that Yamaha had a comprehensive music education system. Playing an electronic organ led naturally to jazz. If you had a chance to stop by the Jazz Cellar in Vancouver this past November, you would have heard him improvising on their B3 organ. David completed two music degrees at UBC, mostly centered on classical music. His Master of Music is in music theory. When he graduated, he paid off his student debts by playing Broadway show tunes on the piano, on a cruise ship. For years David worked as a musician for hire, accompanying choirs and singers, and teaching. He moved to Europe in 2003, following an interest in church music. He was appointed as the musical director at St. Michael Church, Wandsworth Common, and in 2007 he moved to St. Mary’s Church, Stoke Newington. While in London, David also played piano in Brown’s Hotel for their afternoon tea. David taught at the Colourstrings Music School in Muswell Hill, London. Colourstrings is a Kodaly-informed teaching approach that started in Finland and has been taken up in a few other places such as London and Vancouver. Another recent concert he was involved in (March 12, 2011, at St. John the Divine) was a performance of James Tenney’s In a Large Open Space, together with the Montreal string quartet Quatuor Bozzini. This work gives musicians a set of pitches based on the harmonic series of a low F, based on the range of their instruments, and asks them to perform these while spread out in the space. The effect is said to be like being inside a sound wave. David Stratkauskas enjoys working with children and tells us that you have to keep things interesting with the youngsters, but that the basics of a children’s choir are the same as for adults: good repertoire and respect. Children recognize fine music and enjoy a challenge, just like anyone. Stratkauskas is a Lithuanian name, but you have to go back to his paternal grandparents for the generation that was Lithuanian-born. David is married to Soile Stratkauskas, a fine Baroque flute player who studied at the Royal Academy of Music in London and has played with such groups as The Orchestra of the Age of Enlightenment.